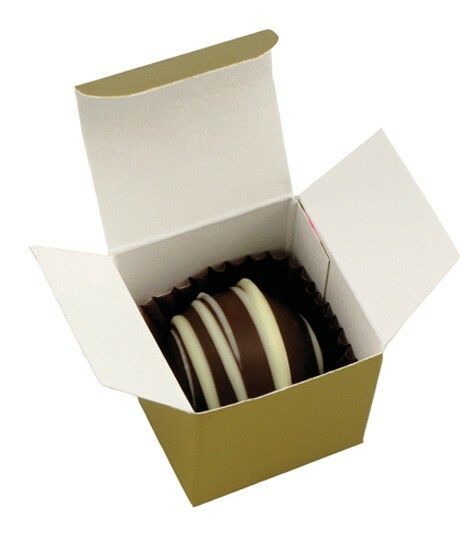 0.50oz favor box with 1 chocolate candy truffle confection. Choose your box color, stretch ribbon color and truffle flavor. Includes 4CP label on box. One color hot stamp also available for an upcharge. Boxes available in: Gold luster, silver luster and white.